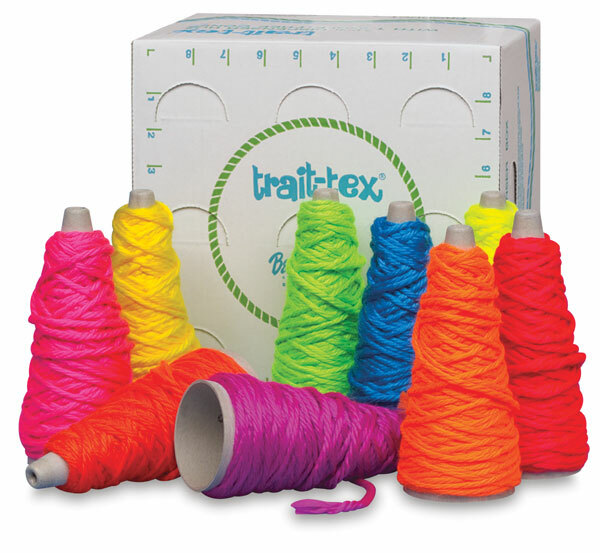 Hot neon colors for kids of all ages. The Neon colors come in a mini dispenser box containing 9, 2 oz cones of 100% acrylic 4-ply yarn. Each cone is 21 yards (19 m), total 189 yards (173 m). Colors include Neon Red, Neon Yellow, Neon Orange, Neon Chartreuse, Neon Green, Neon Blue, Neon Violet, Neon Pink, and Neon Strawberry.